I live near some of the most beautiful vineyards in the county of San Luis Obispo. It would be hard to say which is my absolute favorite, but Zenaida Cellars has to be near the top. Located on Highway 46 West, close to the intersection of 46 West and Bethel Road, it is easy to find. 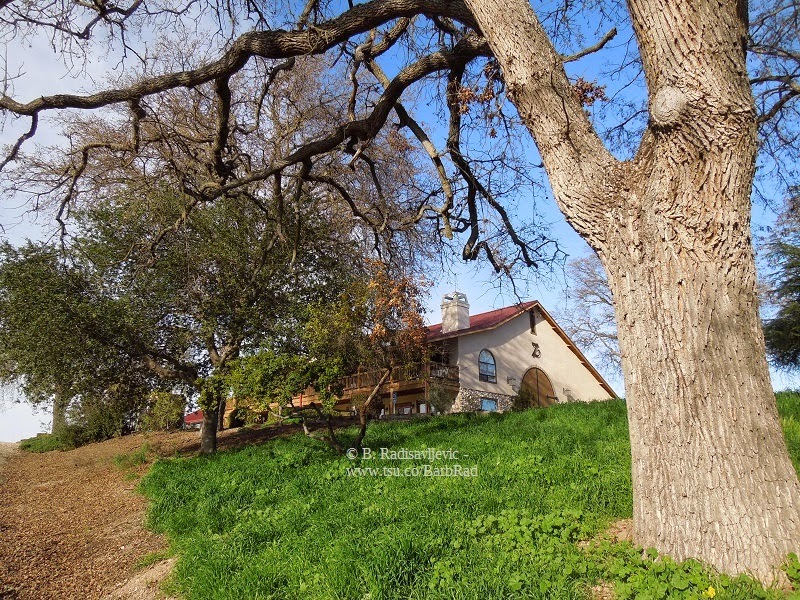 Although I have more conventional photos of the tasting room exterior, I took this one today from the bottom of a slope looking up from behind this lovely oak. I had come to walk through the photogenic vineyards. One reason they are fodder for my camera is because of all the oak trees that grow in and around the vineyards. 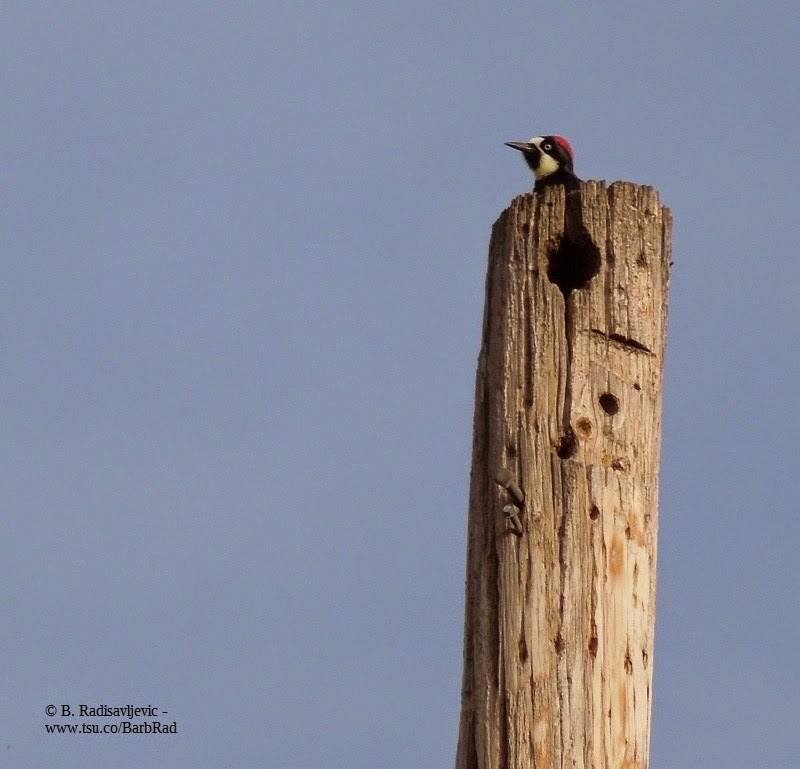 These provide food for this acorn woodpecker I found at the top of a post. I cannot tell whether it is nesting there or not because all I could see was the head. It is certainly in a good spot, since there are many varieties of oak trees there to provide the acorns that sustain it. 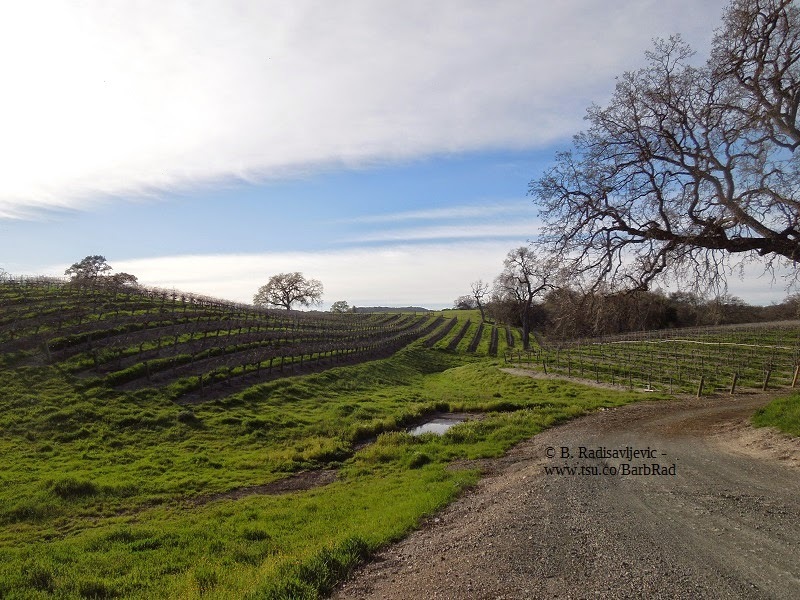 One reason I love photographing this vineyard is because of its rolling hills. 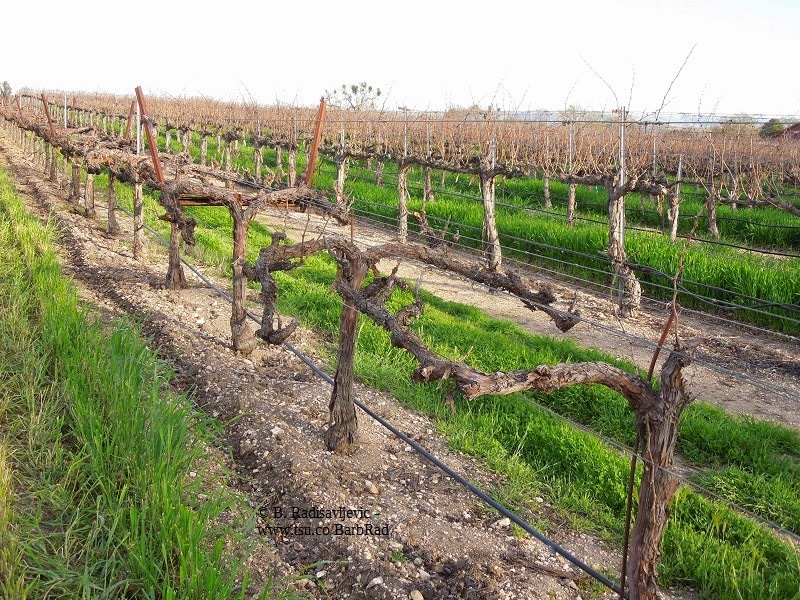 At this time of year the ground between the dormant vines is green with grass and weeds. Evidently Zenaida is doing some pruning, since as I walked down one row, the vines in it were freshly pruned, whereas as the rest of the rows behind it were unpruned as far as I could see. Strangely enough, as much as I love these vineyards and as many photos as I've taken in them, I've turned very few of those photos into products at Zazzle. This poster though, is available. I took the photo on a very cloudy day. Will We See Water In the River This Year? The New Clock Tower: A Paso Robles Landmark.